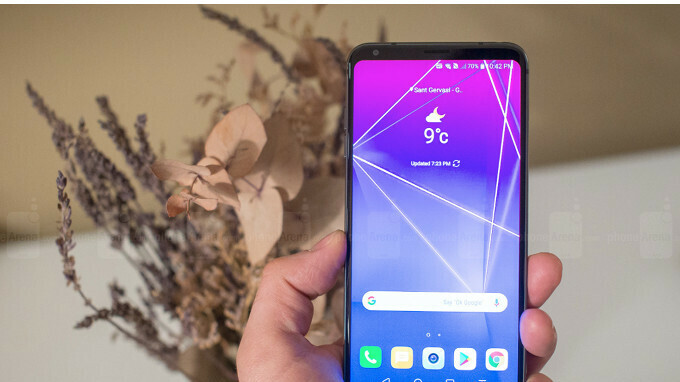 LG introduced two new top-tier smartphones last month at Mobile World Congress – the LG V30S ThinQ and V30S+ ThinQ, although the South Korean company did not unveil another flagship. The announcement of the LG G7 is still one of the mysteries that we have yet to unravel, but rumor has it LG scrapped the development of the device at some point. Until another LG flagship smartphone arrives on the market, fans of the brand may consider the two high-end devices announced at MWC 2018: LG V30S ThinQ and V30S+ ThinQ. While you can find more about these smartphones reading our previous report, we now have information that hasn't been revealed before. Apparently, the LG V30S ThinQ and V30S+ ThinQ are now available for purchase in South Korea, which allows us to get a glimpse at their price tags. For those interested, these smartphones won't come cheap at all, as LG confirmed the V30S ThinQ will be up for sale in South Korea for the equivalent of $975 / €790. On the other hand, the LG V30S+ ThinQ will be slightly more expensive at $1,020 / €825. The former comes with 6GB RAM and 128GB storage, while the latter includes 6GB RAM and 256GB internal memory, which justifies the price difference. It's still unclear when these new LG phones will arrive in the United States, but if they do eventually, they will probably cost around $1,000. These guys smoke some cool stuff but the thing is majority doesn't. Indeed, 600 would be worth trying. No LG is worth more than $200-$300. LG is INSANE. I don't care what anyone says, but no phone is worth $1,000+ today. Yeah but you dont decide the price, realistically only Samsung and Apple can get away selling phones over $1000. its because people are saying it looks the same as s8.... its a good improvement.. just like the s7 improved everything on the s6... pretty soon all phones will just have a screen front... are people gonna say its boring that they all look the same??? Obviously, I don't decide the price, genius. I was just stating my opinion. Of course, they can and get away with want they want. Did Apple get away with it, though? How is the Iphone X doing? Sales figures are probably just fine, though not as robust as they hoped. Can you imagine if they had priced it lower? Say $850? Agreed. $350 outright is my limit. ALL these phones cost no more than $200 to the manufacturer. +10b R&D +2-3b royalties +Xb training, salaries, physical stores all around the world so that they can change/repair a bad unit. +Yb for free services (cloud, office, mail etc) All this so that one can use the device. PS: hardware is closer to 300$. Lg v30 + s q qs blah blah blah????? Lols! I thought lg has stopped manufacturing this phone? Lols!!! This phone runs on a 2017 chip and is a modest upgrade from the V30. A good phone, sure, but not worth 975 to $1020. P20 will run a 2017 cpu... Same story but nobody complains about huawei. This phone is not worth $1000 not with last year's snapdragon. Last year processor with $1000 pricetag? Did they plan to sell G7 for $1100? Wait till G7 released and this phone's price will dropped to normal pricetag, which probably $100 more expensive than normal V30. LG has an expensive image problem, which severely conditions the commercialization of devices with high prices, although those prices are adjusted to their values.